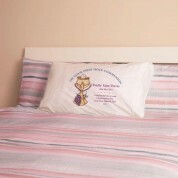 If you are looking for a keepsake with a difference to mark a child's First Holy Communion, look no further! 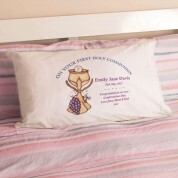 The personalised Egyptian cotton pillowcase features a traditional hand painted design featuring a Eucharist, wheat and grapes, representing elements of the communion meal. It includes the child's full name and memorable date. It even has space for a short with love message making it truly unique to each child. 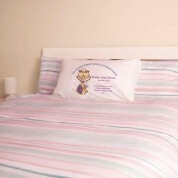 A gift with a difference that can be used and enjoyed for many years.